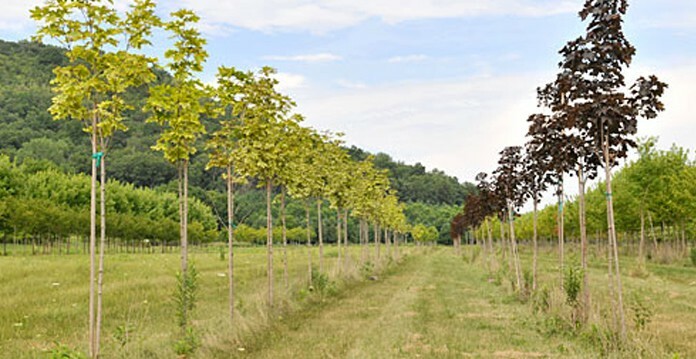 Ten years ago, we began planting trees in Cedar Valley with a clear mission in mind: to be known and respected as a grower of top quality trees and large shrubs with whom you can do business with confidence. Each spring, we added more trees… and today, we have approximately 45 acres of trees and evergreens native to the southeastern Minnesota region in production. Currently, we grow nearly 200 different varieties of trees, and we offer quality container-grown, potted, and ball and burlap stock for both retail and commercial purchase. The Tree Farm & Nursery is located in the heart of Cedar Valley on County Road 9, just south of Winona, Minnesota. Contractors and wholesalers are welcome!